CENSORED NEWS: ASU Hosts Clyde Bellecourt, American Indian Movement! 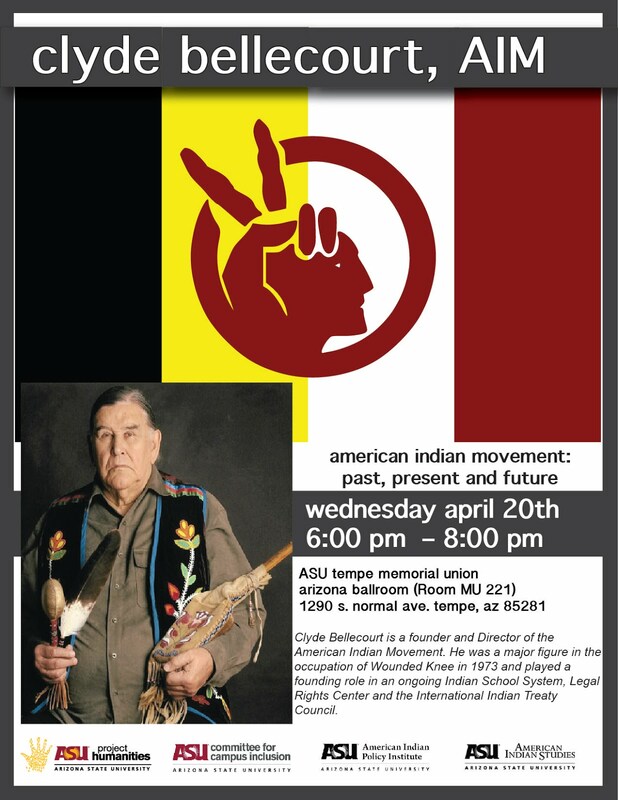 ASU Hosts Clyde Bellecourt, American Indian Movement! ASU Project Humanities invites you and your students to join us for a lecture by Clyde Bellecourt, founder and Director of the American Indian movement. Clyde Bellecourt was a major figure in the occupation of Wounded Knee in 1973 and played a founding role in an ongoing Indian School System, Legal Rights Center, and the International Indian Treaty Council. 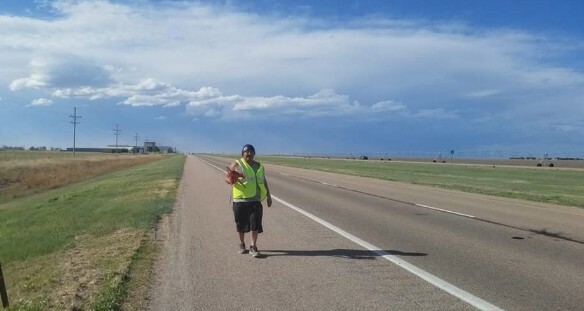 He will deliver a keynote address focusing on issues as Native identity, Indigenous rights, and the history and future of the American Indian Movement as it relates to our Humanity 101 principles: respect, integrity, empathy, forgiveness, compassion, kindness, and self-reflection. This is during American Indian Week at ASU, a student-led, staff supported university-wide celebration. Project Humanities will lead this effort with anticipated support from partners such as the School of Social Transformation, the Center for the Study of Race and Democracy, American Indian Policy Institute, Center for Indian Education, etc. Project Humanities invites all to this free opportunity on Wednesday, April 20th, from 6:00 to 8:30 pm in the Arizona Ballroom at the Memorial Union on the Tempe campus at Arizona State University. Attached is the flyer for the event. For more information, please visit the Project Humanities website at humanities.asu.edu or call our office at 480-727-7030. We look forward to seeing you and your students/organization at this event!